Reed Russell, owner of East of Eliza on Gerrard Street East. Photo by Surina Nath. 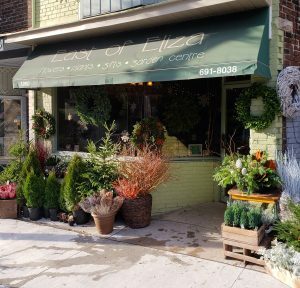 East of Eliza a well-known flower shop located at 1960 Gerrard St. E. is owned by Reed Russell—self-taught florist who loves all things natural. Russell described her grandmother’s garden “like an Eden for my mother and I.” Growing up in Richmond Hill until the age of eight, Reed moved to Toronto and watched her father work as a television producer for CBC. Influenced by the worlds of art and nature, Russell currently works on the Murdoch Mysteries set, and has provided props for hit movies such as How to Lose a Guy in 10 Days and The Time Traveler’s Wife. Eliza Doolittle was the original incarnation of Russell’s shop, opening in 1975 on Queen Street. Former owner Heidi Lamperstorfer, a native of Germany who now lives on the west coast, was also “self taught and had a woodsy-based natural practice, this approach was new style of floristry being practiced in Canada at the time” Russell remembered. Lamperstorfer hired Russell on Feb. 13 1986 – just in time for the busiest day of the floral year. “It was trial by fire and seemingly meant to be” Russell said. Two and a half years later she would wind up owning the company herself. The two florists developed a close friendship working together, and they had a connection immediately. “The original store was magical. Heidi initially opened it as a studio and people in the Beaches would come to stare at the window displays. Eventually she opened the doors to everyone,” Russell said. 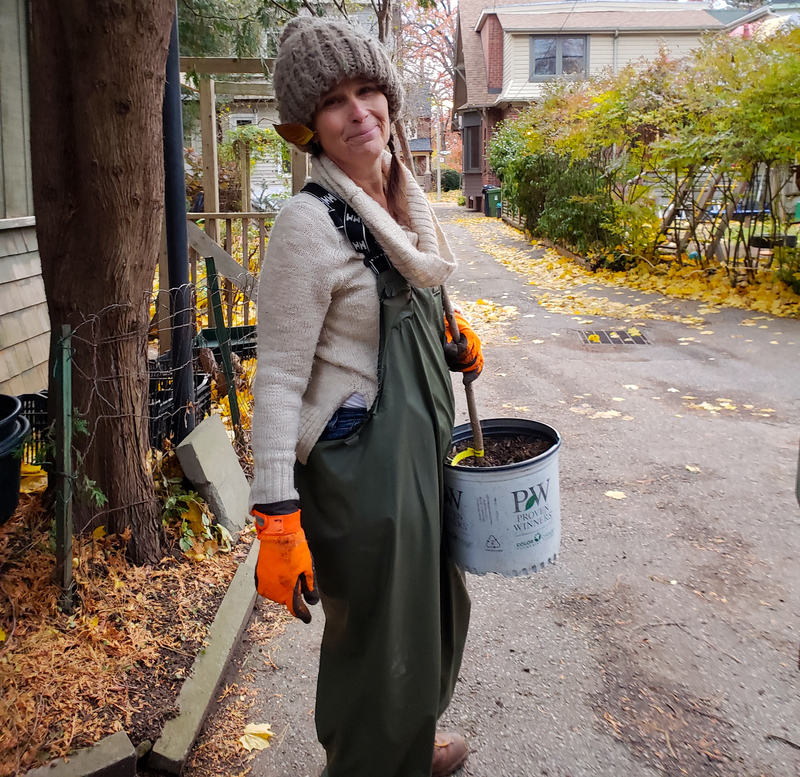 Russell is in the process of transitioning her role in the company to focus more on the growing and gardening side of things; and she will continues to provide beautiful greenery to the community from her Gerrard Street East store.